Specializing in modern, colorful and innovative baby and parenting solutions for over a decade, Bella Tunno (www.Bellatunno.com) is a leader in the world of children’s accessories. Each purchase of a Bella Tunno product helps to provide a meal to an American child in need as part of the company’s commitment to Parenting with Purpose. 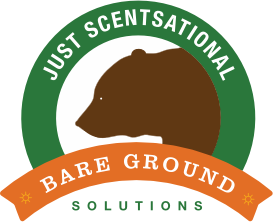 Bella Tunno makes great products with an even greater purpose, a brand that stores are proud to carry and customers are proud to purchase. Bella Tunno receives orders from multiple sources and trading partners: Brick & mortar retail; online through BellaTunno.com and Amazon; and additional sales channels and marketplaces. All these orders need to be aggregated, authenticated and routed correctly, first through NetSuite, their chosen ERP, and then transferred to their shipping partner. Originally an EDI client of ACT Data Services back in 2012, ConnectPointz enabled Bella Tunno to handle all of these different formats and platforms efficiently, accurately and seamlessly. HOW HAS ACT DATA SERVICES HELPED BELLA TUNNO? ConnectPointz seamlessly transmits order data to NetSuite, enabling swift item fulfillment approval via NetSuite. ConnectPointz transmits orders in the required formats to the warehouse, where they are received and acted upon by their 3PL. The 3PL sends shipping and tracking information via ConnectPointz back to NetSuite. ConnectPointz transmits shipping and tracking information to the sales channels when required. ConnectPointz posts product invoices generated by NetSuite to the sales channels in the formats required, assuring prompt attention and settlement. 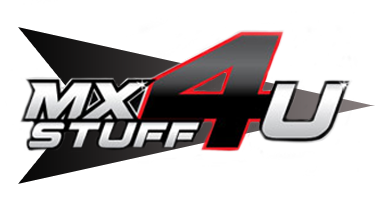 MXSTUFF4U, founded by Motocross veteran Tommy Hofmaster, supplies and sells over 400,000 motorcycle parts and accessories for dirt bikes, ATV, snowmobile, street bikes and UTV through their own website, MXSTUFF4U.com as well as via Amazon and eBay. With so many products, MXSTUFF4U needed ACT Data Services to develop a reliable communication channel between its distributors and its main sales channels, namely Amazon and eBay. They also needed an automated inventory tracker custom built for their sales processes. More importantly for their business, MXSTUFF4U wanted to avoid offering products to an end consumer that could not be delivered promptly. ACT Data Services successfully adapted ConnectPointz to implement a system that pulls products from the sales pages of Amazon and eBay when low inventory thresholds are met. This assured that distributors would have items ready to ship before products were placed back onto the virtual shelves. HOW HAS ACT DATA SERVICES HELPED MXSTUFF4U? Orders that come in through the company website, Amazon and eBay route automatically into ConnectPointz, where they are aggregated for MXSTUFF4U. MXSTUFF4U has the option of holding orders for manual approval or automatically routing them directly to the proper distributors to be set for shipping to the consumer. In addition to the custom inventory buffers that are automatically set up via ConnectPointz, when new products are added to the sales channel, they are automatically detected by ConnectPointz and included in the inventory management system.